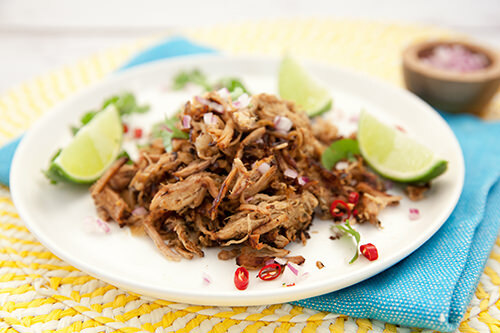 Pork Carnitas Slow Cooker - "Authentic Shredded Mexican Meat" - Easy! 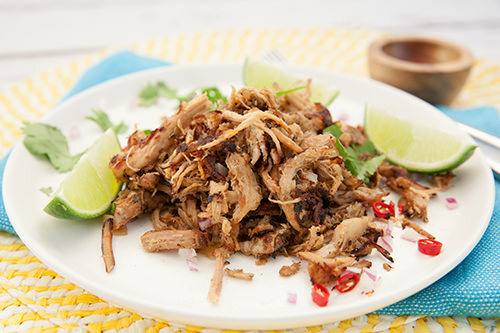 Today I want to share a shredded meat recipe from Mexico, slow-cooked pork carnitas. When we were traveling through Mexico tender shredded pork carnitas was one of my favorites to buy from the street markets pulled fresh from the cooker. Typically there would be a large pot of pork carnitas meat next to a grill. When a customer ordered a pork taco, the cook would scoop the most delicious shredded pulled pork meat from the pot and place it on a hot grill. Cooking on the grill would create delicious crispy bits of pork and give the meat a slightly smoky flavor. When the shredded pork was sufficiently browned it was placed between two soft tortilla’s. We would then be able to add our own sauces from the salsa bar. Even the most humble street vendor had an impressive range of sauces. We found eating from these stalls a real learning experience. 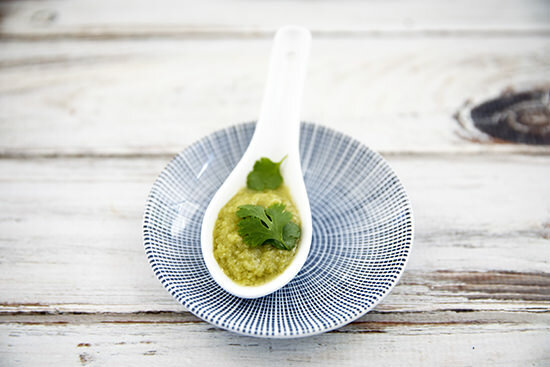 By trial and error, we discovered that the tomatillo salsa verde was usually slightly milder than the red sauces and perfect for our taste buds over our pulled pork carnitas. Even with our friend’s local knowledge we never quite knew how hot each of the homemade salsa’s would be. I’m sure the locals loved seeing tourists add too much hot sauce to their pork carnitas, and then turn red in the face, whilst gasping for breath. If there is one thing I enjoy more than eating local food when I’m on holidays it’s learning to cook local food. 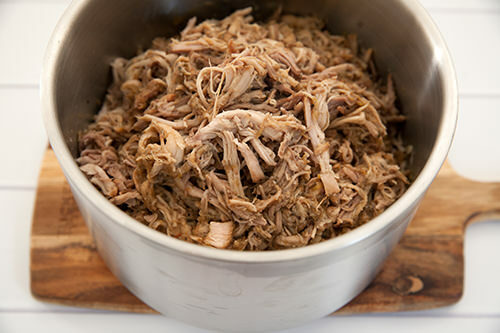 The recipe for slow cooker pork carnitas (or Mexican shredded pork) I’m sharing today is one that I brought back from Mexico. It’s really simple and the use of a slow cooker means that it requires no input or attention during the cooking time. The ingredients for your pork carnitas recipe is readily available from most stores no matter where you are in the world. To make the process even easier prep the pork carnitas the night before and refrigerate. Next morning all that’s left for you to do is put the dish into the slow cooker and turn it on before you leave for work. When you get home you will be greeted with the most amazing food aroma’s form your delicious Mexican pork carnitas. Slow cooked Pork Carnitas is an authentic "Mexican Pulled Pork" recipe. They taste exactly the same as a market stall in Mexico! Shred the pork with two forks. Put the meat side whilst you make the sauce. Add enough pulled pork to cover the base of the pan. I usually serve the pork carnitas with homemade soft corn tortillas. 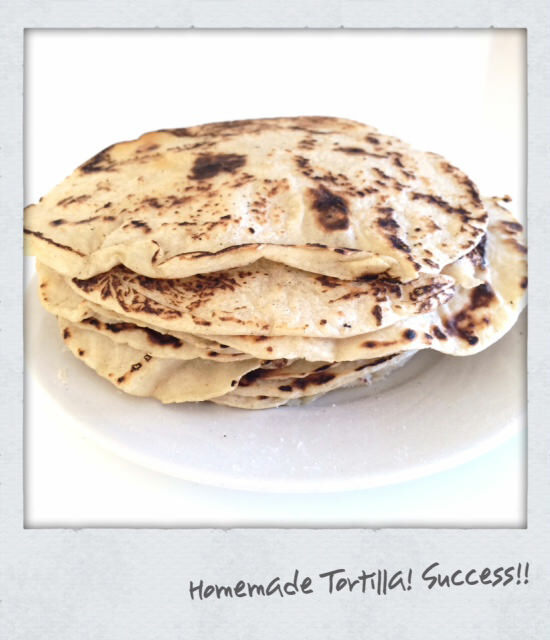 If you’re in a rush, you could always use store bought tortilla’s. I find tortilla making very therapeutic. While you’re at the shops buy a “dry slaw” add lime juice and fresh coriander (cilantro) for a fresh salad to accompany the pork carnitas. Then if you want the meal to be extra special, whip up my 5 minutes Mexican Guacamole. 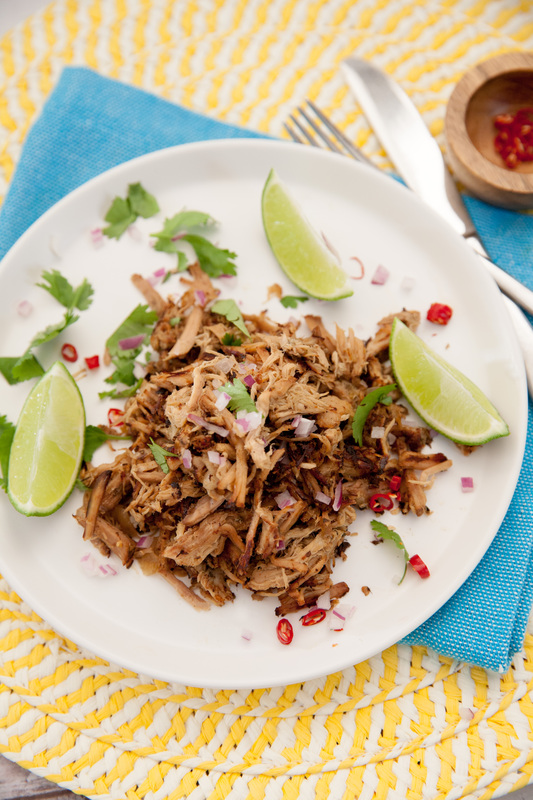 The combination of flavors such as lime, coriander, and citrus gives a very fresh Mexican feel to the shredded pork. It could easily be served in Summer or Winter. Until I can return to Mexico, I will have to be satisfied with making these pork carnitas myself. I will continue to dream about watching the carnitas meat cooking at the street market. I loved smelling that rich meaty aroma, and trying to make a wise salsa choice! 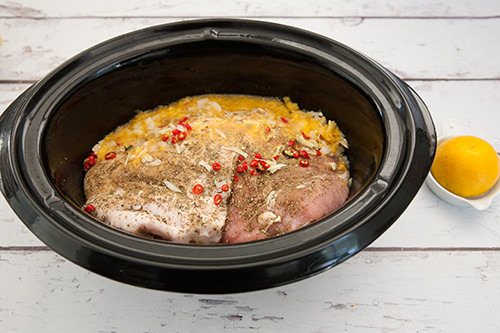 Make sure you pin this Slow Cooker Pork Carnitas recipe for when you next crave a pulled or shredded Mexican meat feast.